Written 28th August 1952 on the 21st anniversary of the association. On the 1st December 1920 the T.S. General Botha left London under the command of Captain F.B. Renouf for Cape Town and was commissioned in 1922. The first draft of 74 boys joined the training ship early in 1922 and in 1925 the Secretary of the Board of Control for S.A.T.S. 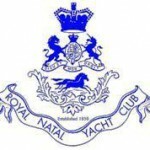 General Botha, at the request of the Old Boys made it known that it was proposed to form the Old Boys Association, and that the annual subscription would be 5/- which would include post free any issue of the S.A.T.S. General Botha Magazine. In 1928 further interest was displayed in the formation of an Old Boys Association and by this time quite a few subscriptions had been paid, but the enthusiasm of the Old Boys was still lacking. Early in August 1931 ex cadets Paul Dymond and Herbert Horsley [class 1928/29] whilst travelling back to work by train decided that they would like to see the foundation of an active Association. They arranged to see the Secretary of the Board of Control that same evening for the purpose of soliciting his assistance. Their request for particulars of those who had passed the Training Ship was met with great kindness by the late B.P. Davies, who was at the time Secretary of the Board of Control. He placed at their disposal the full records and offered to put a notice in the press calling for a meeting to be held on the 28th August 1931. The meeting duly took place and those interested were asked to contact the Chaplain of the Ship, the Reverend R. Park who had been a stalwart of our Association ever since. 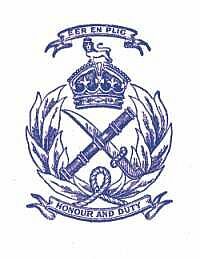 Messers Dymond and Horsley made it their duty to contact by telephone or personally every ex Botha cadet resident in the Cape area and appealed to them to be present at the meeting which was organized to take place in the offices of the Board of Control, Cape House, Exchange Place, Cape Town. A few days before the meeting all concerned were again contacted with the result that at the inaugural meeting of the association 27 ex cadets were present. The first committee of the association consisted of: Chairman Mr. George T. Stone; Vice Chairman Mr. A Murray McGregor; Hon. Secretary & Treasurer Mr. Dudley W. Rudd; Committee Messers W.J. Todden, L.A. Fourie, A.H. Fife, N. Mcintyre, C.J. Sumption, A. Hardie and H.R. Horsley. The Hon Secretary, Mr. Dudley W. Rudd was transferred to Rhodesia within a few weeks of his election and therefore found it necessary to resign. The unanimous choice for the vacancy was Mr. H.R. Horsley who held the position until the Cape Town branch, which had gone into recess during the World War II period, was resuscitated at a General Meeting in Cape Town in April 1944, when Mr. Horsley travelled from Durban to be present.